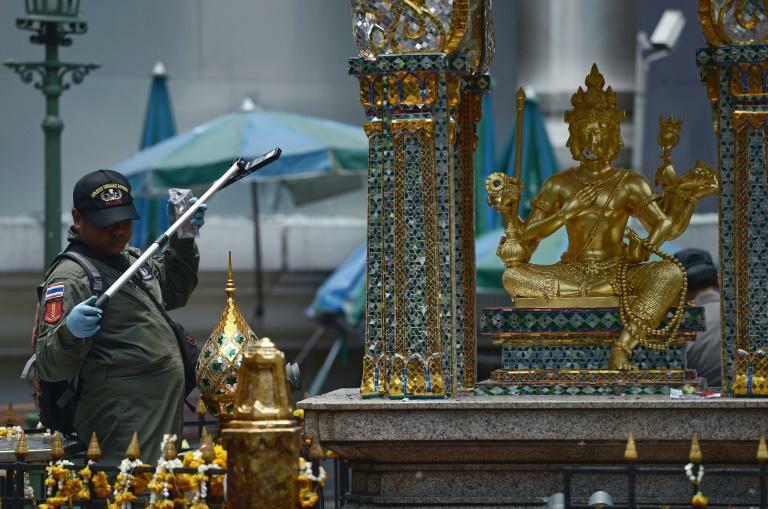 The police investigation into the Bangkok shrine blast increasingly points towards a game-changing attack on Chinese tourists by Uighur militants or sympathisers, analysts say -- but Thailand and Beijing are loath to admit it. 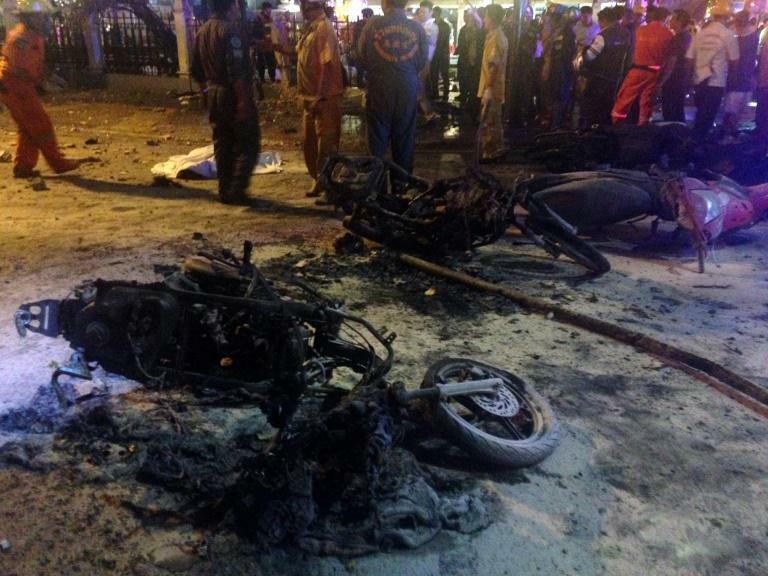 Nearly a month after the August 17 attack, Thailand has two foreigners in custody and a dozen arrest warrants issued, and insists the network responsible for the explosion is in their cross hairs. But investigators have yet to provide a compelling motive for the carnage in Bangkok's commercial heart, which left 20 people dead -- the majority ethnic Chinese tourists. The leading theory they have offered is that the bomb was an act of revenge by criminals striking back at a police crackdown on a people-smuggling network. That take has been shredded by analysts and the Thai public, unconvinced a criminal gang holds the means or motivation to carry out such a brutal act. In recent days links with militants from the Chinese Uighur minority -- or ethnic Turkic supporters -- seem to have firmed up with the passports, ethnicities and travel plans of key suspects all appearing to point in that direction. If the police investigation is on track, "there is definitely a Uighur or radical Turkish national connection," Zachary Abuza, an expert on Southeast Asian militant groups, told AFP. Yet Thai police are bending over backwards not to use the words "Uighur" or "terrorism" largely, analysts say, for fear of putting off tourists or angering China -- one of the junta's few international friends. That determination reached near comical proportions on Saturday, when a warrant for a key suspect named as Abudusataer Abudureheman, or "Ishan", was issued. Police said he was a Chinese national of Uighur ethnicity who left the country before the attack, only to rescind the word "Uighur" hours later and call on the press to drop the term entirely. Mostly Muslim Uighurs have long accused Beijing of religious and cultural repression in China's far western Xinjiang region, with hundreds of refugees believed to have fled in recent years, often heading to Turkey via Southeast Asia. Thailand's deportation of 109 Uighur refugees to China in July sparked violent protests in Turkey, where nationalist hardliners see the minority as part of a global Turkic-speaking family. 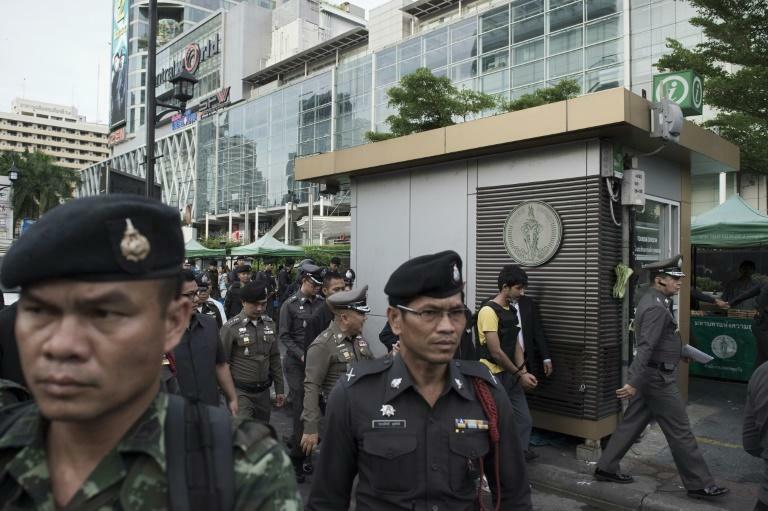 Each release of information from the Thai police has only fuelled speculation of Uighur involvement. One of the two suspects in custody, Yusufu Mieraili, was arrested with a Chinese passport that gave a Xinjiang birthplace. Almost all the identified suspects have Turkish sounding names or links, including the second detained foreigner -- Adem Karadag -- who was discovered with dozens of fake Turkish passports. Another suspect, Emrah Davutoglu, had $11,000 transferred into a Thai account to help fund the operation, police say. His Thai wife, also wanted by police, says she currently lives in the central Turkish city of Kayseri, an area renowned for giving sanctuary to Uighurs fleeing China. If the culprits are Turkish or of Turkic origin, said Anthony Davis, a security analyst with IHS Jane's, "then it probably ties back into the eruption of anger following the Thai decision to deport the Uighurs". Pictures showing the deportees hooded and surrounded by Chinese guards, he added, could have been the "straw that broke the camel's back", raising the prospect of a revenge attack schemed in Turkey and carried out with affiliates in Bangkok's underworld. Analysts say Thailand is keen to avoid naming Uighurs for economic and diplomatic reasons. Chinese visitors are a lynchpin of the tourist industry, and Beijing remains one of the increasingly isolated Thai junta's few international allies. "In many ways Thailand has been handcuffed by its reliance on Beijing," Thai politics expert Pavin Chachavalpongpun, also a former diplomat, told AFP. For its part, Beijing is keen to avoid any suggestion its tourists might now be considered targets by violent Islamists because of their government's domestic policies. Last week, China's state-run Global Times ran a report quoting an unnamed official admitting Uighur militants could be behind the blast. But the article was swiftly deleted. Barry Sautman from the Hong Kong University of Science and Technology says China rarely identifies militants as Uighurs in order to keep a lid on ethnic tensions. Thailand's reluctance is "an indication... that the Chinese government is already involved in this issue." Michael Clarke, an authority on Xinjiang at the Australian National University, said it was unclear if the blast may have been carried out by a Uighur group or if other jihadists "opportunistically used the Uighur issue as an cause celebre in Thailand". Other potential perpetrators named by police or experts during the investigation have included international jihadists, members of Thailand's southern Malay-Muslim insurgency or militants on both sides of the country's festering political divide. However, the design, target and aftermath of the attack is not considered a good fit for the modus operandi for any of these groups. Uighur militant plots inside China have been rudimentary and they are not known to have ever carried out an attack outside the country. For members of the global Uighur community, Thailand's reluctance to officially point the finger of blame has been little comfort. The World Uyghur Congress, a lobby group, called for more "transparent information" on the attack from the Thai police. "I fear now that Uighurs currently in Thailand may be negatively impacted and hope the Thai government will provide (them with) humanitarian protection," said spokesman Dilxat Raxit.